Prepare like an astronaut! 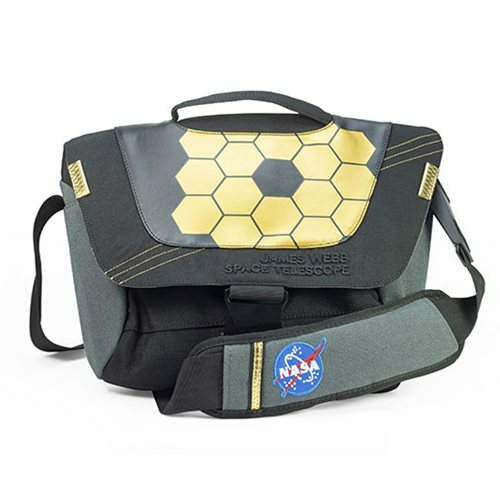 This NASA James Webb Space Telescope Courier Bag features a sleek design inspired by the James Webb Telescope. The inner padded pocket fits standard 13-inch laptops. It includes an adjustable shoulder strap.